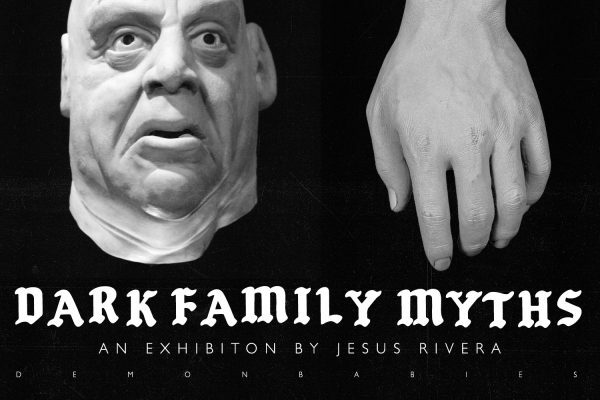 DARK FAMILY MYTHS is a video collage and environmental installation that explores childhood traumas, mental illness, skewed memories, abandonment and family secrets. Overtime, past experiences fade into absurdly humoristic shadow corners of the temporal lobe; this is where Dark Family Myths exists. There will be a 3-part short subject screening at 9pm. Jesus Rivera (Demonbabies) is a multidisciplinary artist and director working with film, video, collage, painting and performance art. His aesthetics range from Lo-Fi to Hi-Fi, nightmarish to beautiful, psychotronic to surreal and ridiculous to absurdly creepy.